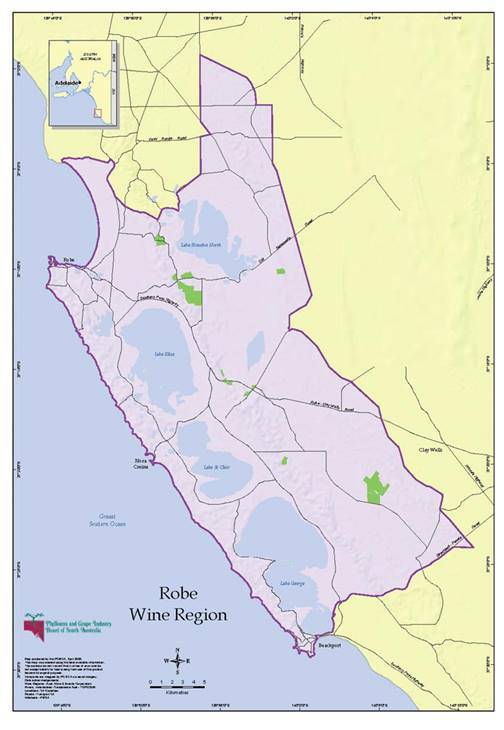 Robe—one of the six wine regions located in South Australia’s Limestone Coast Zone—is named for the small township of Robe, located on the shores of Guichen Bay. Robe was named after the fourth Governor of South Australia, Major Frederick Robe, who chose the site as a port in 1845. The area—with its unspoiled, rugged coastline and multiple lakes—has a long history of aquaculture, agriculture, and tourism. 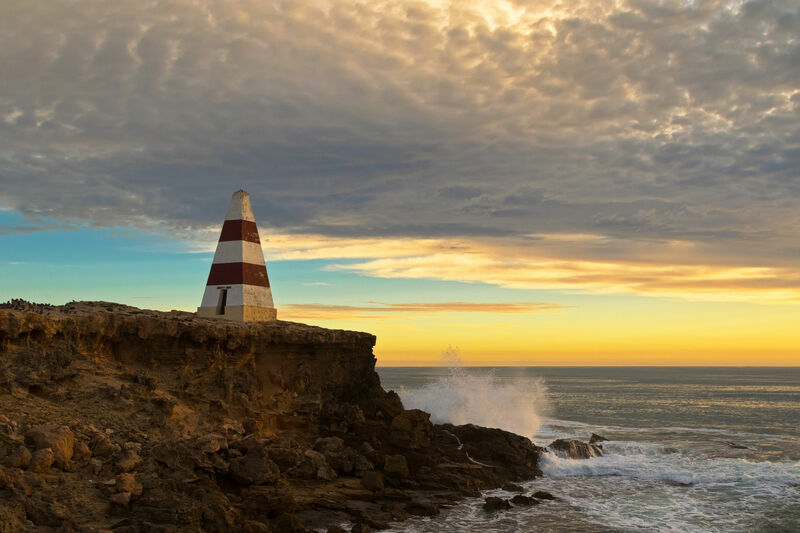 Robe bills itself as “Australia’s Favorite Seaside Town” and is listed as one of the “Top 50 small towns in Australia.” Fishing, boating, hiking, camping, and sea-side conservation areas are a big deal in Robe. As might be expected, the area enjoys a degree of fame for its seafood—particularly the lobster—but viticulture is a fairly new arrival to the area. The area’s first vineyards were planted as recently as 1989, with the first commercial vineyards planted by Penfolds in 1994. Other (mostly independent) wineries followed suit and today you can find several wineries—including Karatta Wines, Woodsoak Wines, and Governor Robe Wines—in the area. 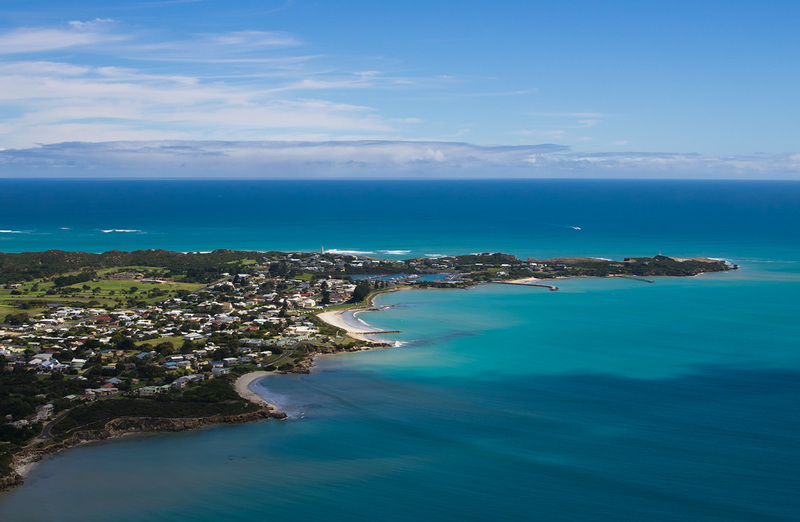 The Robe wine region, which stretches along the coast from the town of Robe to the town of Beachport in the south, was officially recognized as a Geographical Indication in 2006. This coast-side location makes for a cool climate and resultant long ripening season. However, the area’s commercial vineyards are planted on the eastern (inland) side of the Wokewine Mountains, which provide a bit of a barrier to the cool ocean breezes. The mountains also provide a small degree of altitude—many vineyards are planted at elevations of 164 feet (50 m) to as high as 495 feet (51 m)—as well as some areas of northern exposure ideal for red grapes (remember, we are in the Southern Hemisphere so northern exposure = more sun). The many large lakes located between the mountains and the coast also help moderate the climate somewhat. The area has a wide range of soil types, which includes the famous terra rosa found throughout much of the Limestone Coast Zone. Many vineyards are planted on rendzina soils, a specific type of darkly-colored clay-and-humus-rich terra rosa found mainly in mountainous regions. Today, there are a total of 1,705 acres (690 ha) of vines planted in the Robe G.I. Of these, 72% are planted to red grapes, led by Cabernet Sauvignon, Shiraz, Pinot Noir, and Merlot (in that order). Of the 28% planted to white grapes, Chardonnay makes up the great majority, followed by Sauvignon Blanc, Pinot Gris, and Semillon. Many of the grapes grown in the Robe area are used, somewhat anonymously, for wines labeled under the Limestone Coast, South Australia, or South Eastern Australia Geographical Indications. However, those bottled under the Robe G.I. are worth seeking out. If you find yourself in South Australia sometime soon, you’ll want to make sure to treat yourself to some of that Guichen Bay lobster and a bottle of Robe Chardonnay. This is the sixth and final installation in our six-part series on Australia’s Limestone Coast. Click here for the first article, on the Mount Benson GI, click here for the article on Mount Gambier, here for the article on Coonawarra, here for the article on Wrattonbully, and here for the article on Padthaway.